An interesting problem crossed my desk today. A customer moved their file shares from a Windows 2003 server to a Windows 2008 server. They went around and updated all of the user's share shortcuts and it was working okay. When they navigated to some directories on the share there was a noticeable pause before the contents were visible. The problem went away if they were added to the Admin's group. The more files or folders in the directory, the longer the delay. Network captures showed no issues with connectivity or name resolution. And most interestingly, the problem did not exist on the Windows 2003 server in the same subnet as the new file server. The problem was that ABE, Access Based Enumeration, was enabled on the new server but not the old one. ABE is this cool-but-noone-knew-about-it feature of Windows 2003 that would not let a client see a file or folder on a share unless they had access to it. The feature is awesome, but it means that the file server has to iterate through the permissions of every file and folder before returning the list of objects back to a client PC. For small folders, this was no issue. For this particular client's really-big-folders with painfully nested permissions it can cause a few seconds delay when browsing. They aren't using the features of ABE, so clearing the checkbox fixed it. Note: This issue was just a couple of seconds pause when browsing an open share. If you're experiencing a 15 or 30 second pause when initially connecting to a share then that's different. 15 or 30 second pauses are almost exclusively Name Resolution issues. Good Luck! 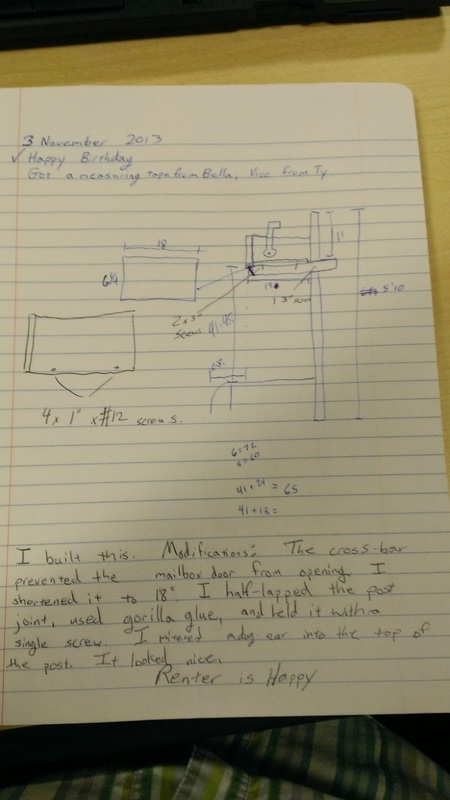 The one where I re-invent something that's already patented. For the last few weeks I've been working on a secret-squirrel 3-D printing project. I thought I'd discovered an inexpensive way for folks to 3-D print metals at home. And today I discovered that someone else has already patented it. It was a reasonably productive weekend, but I _really_ needed an extra day. The dryer part came in, but I didn't get a chance to install it. Ty and I started sanding our new table in preparation for painting it, but didn't finish. I manufactured a quart of copper acetate solution via electrolysis. This was painfully slow, and I definitely need a new power supply for this sort of thing. 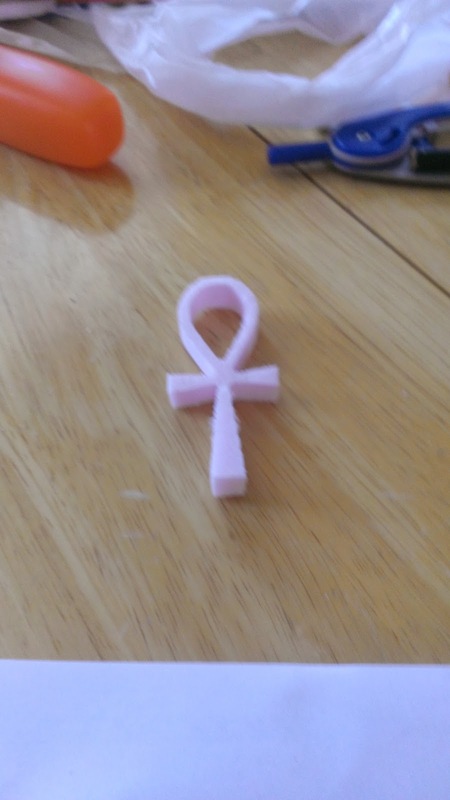 I didn't get a chance to recrystallize it, yet. I bought some MDF to make CNC Christmas trees with Little B, but we ran out of time. On the secret-squirrel 3d-printing with Metal project I successfully built the extruder over the weekend, but was unable to test it. I installed Windows 8.1. for my nephew's girlfriend. This replaced Ubuntu, but she couldn't use it under Linux because no-one had configured the wireless NIC driver. Wife's HP laptop died. A bit on that in a second. The Boy and I re-imaged his laptop. It was a festering pustule of Virii and Malware. I rocked at Black Ops. I was able to load all the Last Apprentice books on the Boy's nook, so that's one thing successful. Wife's Laptop is an HP DM3. I diagnosed the failure as a bad power button. Disassembling this laptop is non-intuitive. Remove the Battery with the sliding lever on the bottom of the laptop. Under the battery is an orange sliding lever that releases the hard drive access door. Under the hard drive access door is an orange sliding lever that releases the memory access door. Remove three screws from behind the battery to release the keyboard. Note: Keep track of which screws go where. This laptop has 5 different types of screws and they are not interchangeable. Gingerly pry the keyboard up and out without tarfing the ribbon cable or socket. Close the laptop and remove the two screws next to the screen hinges, one screw under the DIMM cover, and two silver/rubber feet screws. Open the laptop and remove the one screw holding down the under-the keyboard plate. Disconnect the ribbon cables for the Touchpad and power button. Split the top half of the laptop including the bezel around the keyboard with a case cracker, plastic wedge, or screwdriver. Now the Power switch assembly will pop off the back. 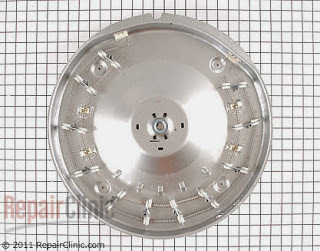 The Power switch PCB is held in the assembly by a single screw. I had intended on replacing the little SMT switch on the PCB, but I managed to rip the end off of the ribbon cable. Since I failed utterly (with no small amount of expletives) I ordered the PCB and Ribbon Cable assembly from eBay. This week has been pretty quiet so far. In other news, my Dryer broke on Sunday. The heating coils broke. 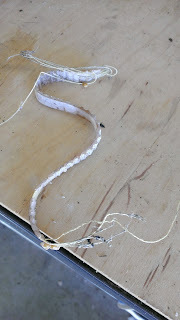 I have affected a temporary repair by twisting the broken leads back together. Ty says that the dryer works better than it has in years. I lol'd. The temporary repair will probably last for years. It lasted about 6 years in my Mom's dryer with no ill effects, but I'm going to fix this right for my sweetheart. 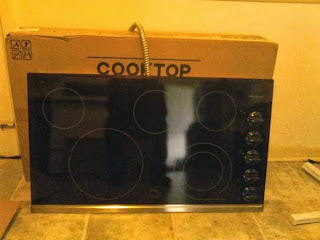 But then I found a kit that just replaces the heating coil for half the cost! 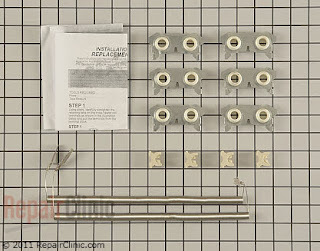 I'll be making a video of installing the restring kit this weekend. I also got a couple of thermocouples and cartridge heaters. 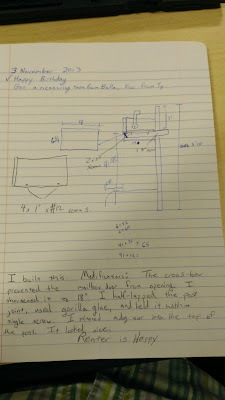 Those are tentatively planned for a Plastic Injection Molding Machine like I read about in "Secrets of Building a Plastic Injection Molding Machine"* , but they might end up in a plastic bottle-to-filament recycler or in some other as-yet-uninvented project. * Full disclosure, that's an amazon affiliate book link. I own that book and a bunch of other Gingery books too. 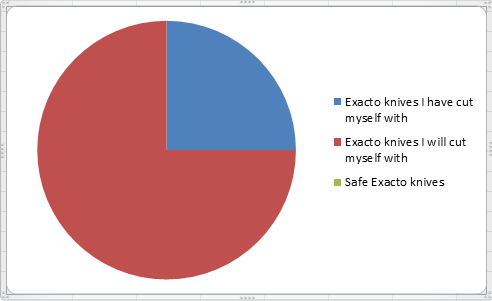 Quickie: Getting the path to a batch file from inside itself. This is really handy if you want to use non-relative paths inside it. Why would you ever use that? I have an external hard drive that I keep my bitcoin wallet on. I have a batch file on the drive that tells it to use the data files on the external hard drive. Here's the code. REM I Run the local bitcoin executable and load the data REM from the data subdirectory. P.s. Before I get mugged for my bitcoin wallet, you should know that I keep less than one coin in it. I'm not worth it. Really! On Sunday Mr. B and I made a Pyramid! It's constructed of 4 equilateral foam board triangles glued to a foam board base and painted with a rattlecan "sand" color texture paint. Hot seen in this picture is that there is another duct-tape hinged board for the background underneath this one. That board is going to get Hieroglyphics, a desert background, or a cutaway view of a pyramid painted on it. I helped lay out the triangles and Big B did all the cutting and gluing. Great job Mr. B! I also told Mr. B the dark truth about Exacto knives. 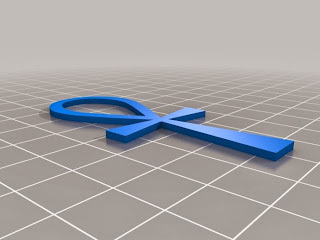 My son Big B my son is studying Egyptian history in Social Studies. Sunday we made an Ankh on the CNC mill. To make this part, I downloaded this thing from Thingiverse. Then I loaded it up in MeshCam to create the GCode. 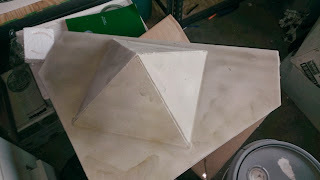 I have a big piece of foam board that I was using for DWC Aquaponics. I cut out a chunk and put it in the mill. The part was done _an hour_ later. In hindsight, I set the mill to cut parallel passes with a tiny stepover amount. I'll post the .nc files shortly. EDIT: Here is the .nc file for a full depth slow Pencil cut around the outside of the part. This is designed for foam. It will likely break something if you try it in anything more substantial than foam. Last week I was ecstatic to set up my shiny new (old) Spectralight CNC mill. Unfortunately the Y-Axis had a backlash problem. About an inch of backlash. I had to go out of town and just got back in the shop today. 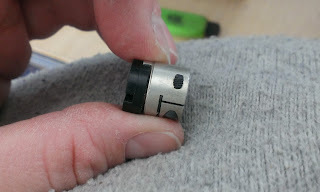 The Leadscrew is supposed to be connected to the stepper. 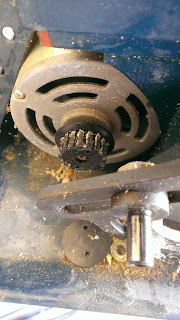 I had guestimated the problem to be that the Cap screw that held the leadscrew to the motor coupler had come off. That was incorrect. The Spectralight mill differs from the stock Sherline 5400 mill. Instead of having a hard mount for the steppers to the lead screw it uses a coupling that permits small amounts of misalignment. The fix was pretty easy. 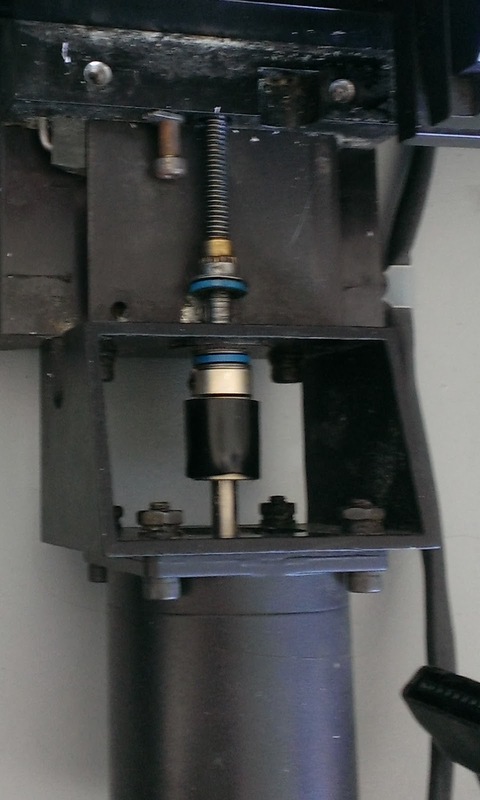 I had to clean the end of the leadscrew (it was oily), move the rubber sleeve out of the way, put the thrust bearing/washer/and coupler back on, take out as much play as possible, and tighten up the cap screw on the coupler. Easy peasy. I just withdrew from the Stanford Retirement and Pensions MOOC. I really didn't want to, but I wasn't getting a reasonable benefit for the effort I was expending. It's not the instructors fault. I guess I traditional lectures and a chalkboard work better for me. 1. Six 10 minute videos convey less information than one continuous lecture of half the length. 2. Too many graphics are distracting, not helpful. I get it. You have a green screen. Now.stop. 3. Please post all of the videos at once, not as drips. Here are a few more videos of me learning how to make PCBs with Fritzing. I was finally successful in making and printing the PCB! 1. 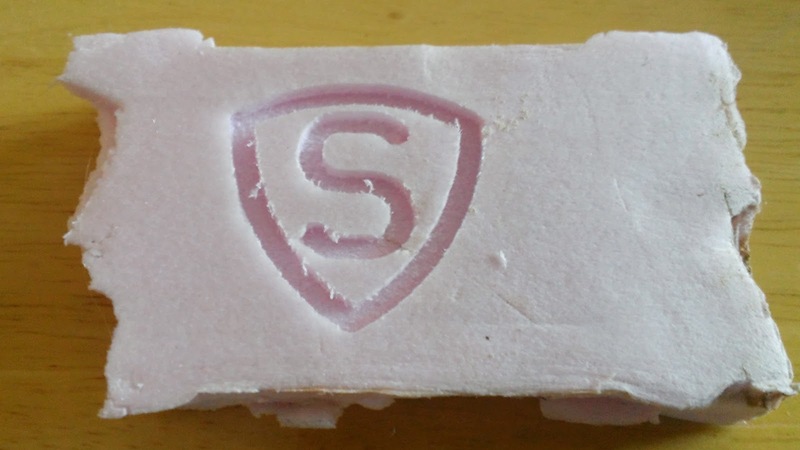 It is possible to make this without using a jumper. Yeah! 2. The default traces and Vias in Fritzing are small. I made them bigger (and easier to solder/drill) by selecting the vias and wires one-at-a-time and changing the size. 3. You are probably smarter than the Autorouter. You can convert the ratsnest lines to traces by right-clicking the lines and selecting "Convert ratsnest line to wire". That's handy. I printed the completed circuit on Fuji InkJet Photo Paper. I ironed the print onto the PCB. I did the entire PCB for 30 seconds and then an additional 15 seconds on the edges. The paper appears to have a thin layer of plastic on the non-printing side and it puffed up like a fresh tortilla. I soaked it in warm water for 30 minutes. The plastic layer appears to be impermeable to water. The part of the paper that soaked with water worked perfectly! Most of the paper was still bone dry though. Damnit. It was "good enough". So I colored in the faded traces with a sharpie. Then, in giddy excitement, I went in the garage to etch the board. I got a text from our tenants on Friday night. 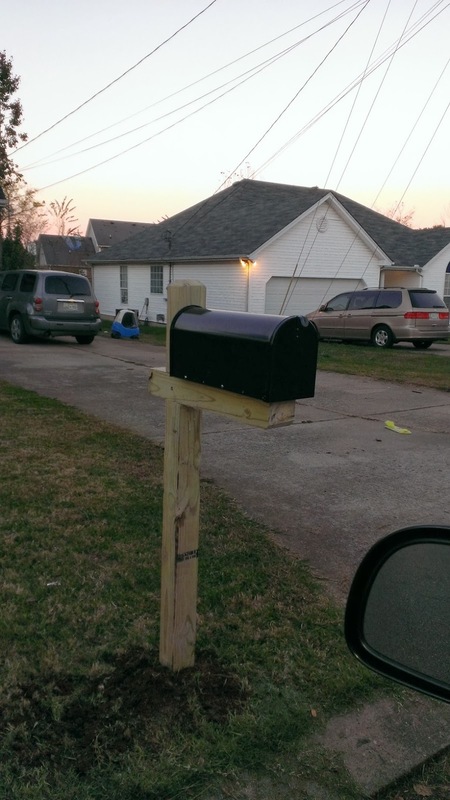 A guy was distracted driving and drove through our mailbox. I went to the Home Depot to get a new mailbox and post. The Mailbox was a semi-reasonable $17. A wooden post was almost $40! Ouch!. They had some of the ugly metal posts for cheaper, but I didn't really like them. * ' are feet " are inches. You can remember this semi-easily by remembering there are more inches (doublequote) than feet (singlequote). 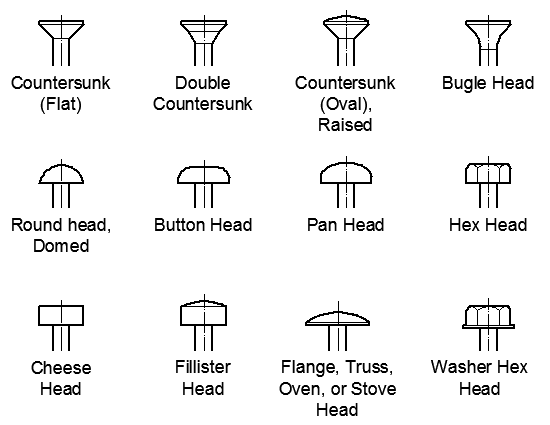 Credit:This chap made this helpful graphic for the screw types. Thanks! Cut the 4x4 to 5'10". Save both pieces. The long piece is the post. The short piece is the cross bar. Rip the 1x8x1 to 6 1/8" wide and 16" long. Before you cut this, measure the recess on the bottom of the mailbox to make sure your dimensions match mine. This piece should fit inside that recess. I joined the Post (the vertical part) and Cross Bar with a half-lap joint and Gorilla Glue. To make this joint, Mark a line 18" back from one end of the crossbar. Place a piece of 4x4 adjacent to this line, and mark another line on the other side. 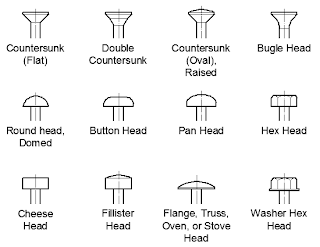 These define the ends or "shoulders" of your joint. To define the depth of the joint, find the center of the width of the 4x4 and mark the depth line. 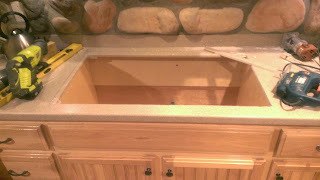 I used a circular saw for the shoulder cuts and a 1" chisel to knock out the middle. Cut another half-lap joint 11" from the top end of the post. The two should fit together snugly, but not so tight that you need to beat them together with a hammer. You can make the post look better by adding some decorative touches. One way to do this is to dog ear the post. To do this, mark a line 1" back from the end of each end of the cross bar and the top of the post. Set the Circular saw to 45°. Now cut this angle following the lines you marked. Alternatively you can make "Pointed" posts using the same procedure, just make the marks and cuts 2" back from each end. 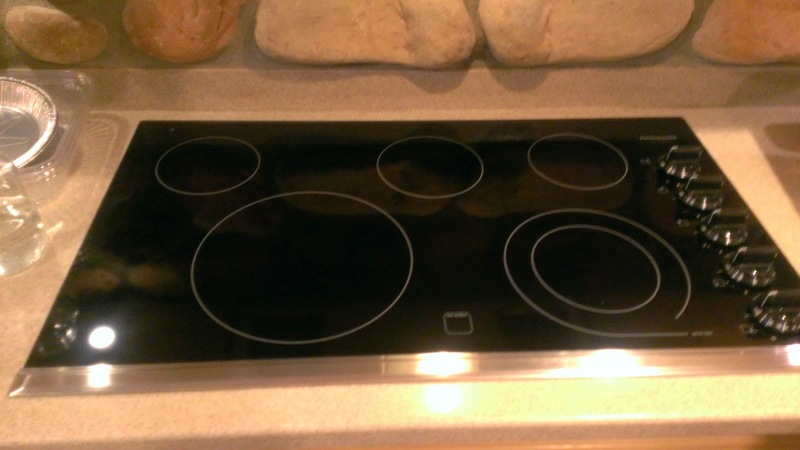 The decorative work has some practical benefit as well. This reduces the amount of water that can soak into the top of the post and rot it out. I used Gorilla glue for this joint and two 3" screws to hold it together while the glue sets. If you clamp it until the glue driest the screws aren't required. That makes it look a little cleaner. Gorilla glue expands as it dries, so be ready to clean up what squeezes out. It's easy to clean up when it's soft, but a pain when it hardens. Now center the 1x6 1/8"x16" mailbox mounting board on the cross bar approximately 1" from the post. Drill pilot holes and attach it to the cross bar with two 3" screws. Using Post hole diggers, dig an 18-24" deep hole where the mailbox will be installed. Drop in the post, add concrete, pack it in, and add water. leave an inch or two of space below the ground so you can add dirt back to hide the concrete. Remember to level your post! I used a free level app for my smartphone since I neglected to bring one. The USPS made this picture that shows how far back to mount the mailbox. They also say to check with your local postmaster before you install the mailbox too. My old box was too close to the road, and probably part of the reason it got knocked down. 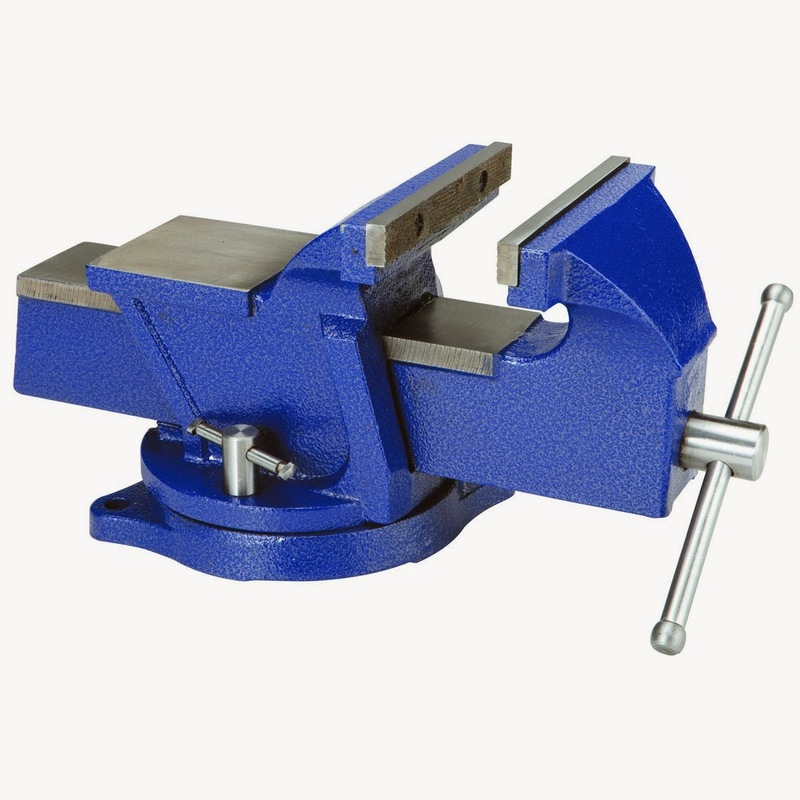 To install the mailbox, drill pilot holes and screw in the 4 1" screws through the mounting holes in the bottom flange of the mailbox. Here is the notebook page for this project. 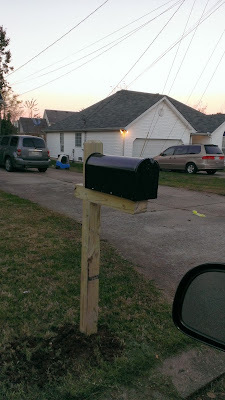 Here is the finished mailbox and post. I had the screws, glue, and pine board on hand, so DIYing this saved me about $30. Yesterday was my birthday. My present to myself was a Spectralight 0200 CNC Mill from eBay and an small metal casting foundry set. I picked up the mill last week and installed it Sunday night. The Mill is based on a Sherline 5400. The one I bought has a 3/8's inch Jacob's chuck and a small milling vice. What's awesome about this one is that it didn't require any fritzing. It had a PC with the control software installed, the software, the interface card, the control box and the mill. It was literally plug and play. I was _really_ excited to get it in and set up. The good news: It worked! The bad news: [It worked] ... for about 15 minutes. 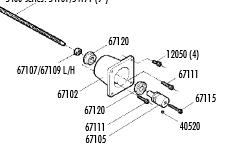 Specifically, I think that my 67115 has come out of the leadscrew or my 67105 has busted. Back at the mill there is a big rubber something that is wrapped around my 67105 coupler. I don't know if it's just a safety don't-put-your-finger-in-this thing or if it is some sort of vibration dampener. I didn't get another chance to work on it this weekend, but it's my first priority for next weekend. I am giddily excited about this. There are so many things I want to make now!